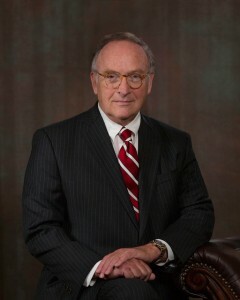 Robert A. Gleason, Jr. is a successful businessman from Johnstown, Pennsylvania with a long history of civic service and political involvement. Gleason is best known for his accomplishments over a decade serving as Chairman of the Pennsylvania Republican Party (1996-2017). He played a key role in helping President Trump carry Pennsylvania in the 2016 Presidential election. He also helped Pennsylvania Republicans achieve majorities in both the State House and Senate, as well as gaining and holding a U.S. Senate seat and 13 of 18 House seats. Gleason is a 1961 graduate of the University of Pennsylvania’s Wharton School. After fours of active duty service in the Air Force leaving as a Captain, he joined Gleason, Inc., an insurance brokerage started by his grandfather, where he served as President from 1970-1994. In 2010, The Gleason Agency and Gleason Financial merged with Arthur J. Gallagher & Co, the fourth largest brokerage in the world.